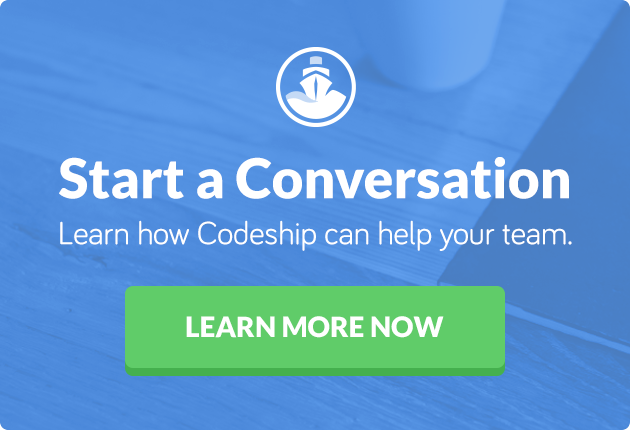 This article was originally published by Pierpaolo Frasa on his personal site, and with his permission, we are sharing it here for Codeship readers. Everybody is talking about microservices, but I haven’t seen a lot of good, comprehensive descriptions of how to actually write a microservice in Ruby. This may be because a significant number of Ruby developers are still most comfortable with Rails (which is not a bad thing in and of itself, but it’s not all Ruby is capable of). So I want to offer my account. This is a perfect fit for a microservice because it’s a small and focused piece of functionality with a clearly defined interface. So, that’s exactly what we did at work, when we decided that our mailing infrastructure needed a clean rewrite. It’s popular and encodes a standard (AMQP). It has bindings for most languages, so it’s perfect for polyglot environments. I like writing Ruby (and know it better than other languages), but I don’t think it’s the best fit for every problem nor that it’s going to be so for all future times. So if we ever have a need to write an application in, say, Elixir that sends mail through our service, it will be possible (and not too hard). It is very flexible and accomodates a number of workflows—simple background processing through a named queue (which I’ll focus on here) or complex message exchange workflows (even RPC is possible). The website has a lot of examples. It comes with a useful admin panel accessible through your web browser. bunny is the official RabbitMQ gem and when we don’t pass any options to Bunny.new, it will just assume that rabbitmq runs on localhost:5672 with the standard credentials. We then (after some setup) connect to a queue identified by the name “mails”. If the queue doesn’t exist yet, it will be created, otherwise it will connect to it. Then, we can publish any message we want directly to that queue (for example, the payload we saw above). We’re using JSON here, but in fact you could be using anything you like (BSON, Protocol Buffers, whatever), RabbitMQ doesn’t care. We have to specify the queue that we’re reading from (“mails”) and then the work method will actually consume the message. We parse the message (which we know is JSON, because that’s what we agreed upon before—but again, that is your decision, RabbitMQ or sneakers don’t care) and pass the message hash to some internal class that does the actual work. Finally, we must acknowledge the message or RabbitMQ will put the message back into the queue. If you need to reject a message etc., the sneakers wiki can fill you in on how to do that. We also included some logging in order to know what’s going on (we’ll talk later about why we log to standard output). The most important thing we’re doing here is setting the load path. First we require bundler/setup, so we can henceforth require gems by name. Next, we add the lib folder of our service to the load path. This means that we can e.g. require mandrill_api/provider and it will look it up from <project_root>/ lib/mandrill_api/provider. Nobody likes to deal with relative paths, so that’s something you want to do. Notice that we don’t get autloading like in Rails. We’re also not calling Bundler.require which would actually require all the gems in your Gemfile—something that Rails would do for you. This means that you always have to require your dependencies (gems or lib files) explicitly (which I actually think is good design anyway). Next, I like the Rails convention of having multiple environments, so we’re setting it here by loading it from a UNIX environment variable called ENVIRONMENT (and defaulting to development). We’re also going to need some settings (like the RabbitMQ connection options or some API keys for the services we use) and it makes sense to have them depend on the environment, so we load a YAML file for that and put that into a global variable. Notice that this is an executable (the shebang at the top), so we can just run it without the ruby command. We first load our setup file (for this we have to use a relative path) and then all the other stuff that we need, including our mailer worker class. The important part here is where we configure sneakers: The amqp argument accepts a URL that specifies the RabbitMQ connection which we load from the settings. We also tell sneakers to run in the foreground and log to standard ouput (more on that in a bit). Then we basically give sneakers an array of worker classes and tell it to run them. We also took the liberty to include some logging, so we could see what’s going on. The httplog gem will just log all outgoing requests which is quite useful if you’re talking to an external API (here we’re making it also log the HTTP headers, which it doesn’t do by default). (again shortened here) which is pretty informative, especially in the beginning, but of course you can later reduce log noise as needed. This gives us the basic project structure, so what’s left to do? Well, here comes the hard part: Deployment. You want to daemonize it (i.e., it should run in the background). We could have done this when setting up sneakers above, but I prefer not to—in development, I like to be able to see the log output and to be able to kill the process with CTRL-C.
You want to have proper logging. This include somehow making sure that your logfiles don’t end up filling your whole disk or becoming so unmanageably huge that grepping through them takes forever (e.g. log rotation). You want it to restart both when you have to restart your server for whatever reason and when it crashes because who knows what. You want to have standard commands for starting / stopping / restarting when needed. You could do this all by yourself in Ruby, but I think there’s a better solution: Use something that’s built to handle those tasks, i.e. your operating system (Mike Perham, the creator of sidekiq, agrees with me). In our case, this meant systemd since that’s what runs on our servers (and on most Linux systems nowadays), but I really don’t want to pick a fight here. Upstart or daemontools probably work just as fine. The exact details are not so important, but here we can see that we specify the user the service should run as, the working directory, the command to run to start the service, that we should always restart after a failure and that we log to the system logger. We also set some environment variables, including the PATH, something I’ll talk about in a bit. You can give journalctl more options and e.g. filter by date. That’s a long command, but it boils down to running foreman export systemd, while specifying the directory that the files should be put in (/etc/systemd/system is, as far as I can tell, a “standard” directory for it), the name of the target, the user it should run as and the environment file it should load. After that, our service should be up and running on our server, ready to accept any incoming messages. I have covered a lot of ground in this post, but it is my hope that I showed some of you the big picture behind writing and deploying a microservice. Obviously, you’ll have some research to do if you really want to follow along and do this yourself, but I think I have given you some pointers to technologies you could be looking at. We wrote our mailer service basically like this a couple months ago and so far we’re pretty happy with the results. 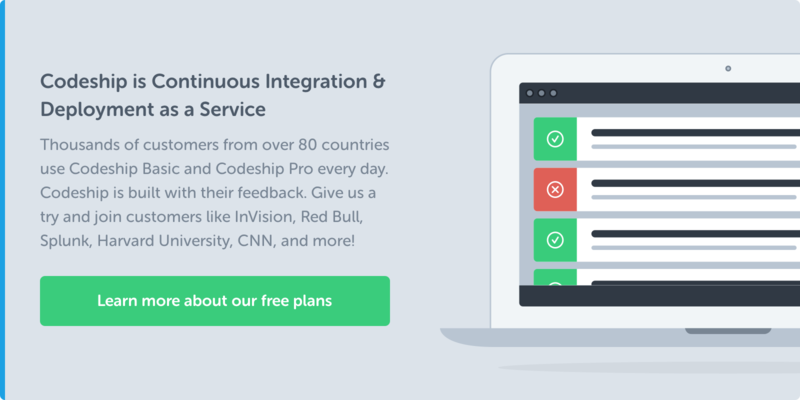 The fact that the mailer is isolated with a clearly defined API and is well-tested independently gives us a lot of confidence in it doing what it’s supposed to do. And having a sane restart behaviour is a deal-breaker for us—we still have some sidekiq workers that occasionally die and while we fixed the issue by adding monit on top of it, it feels much better to fully use the tools your operating system provides.